Explore the capital of Portugal and its surroundings on this full-day private tour. Start in the beautiful town of Sintra, with all of its enchanting palaces, and learn about its royal history from your guide. 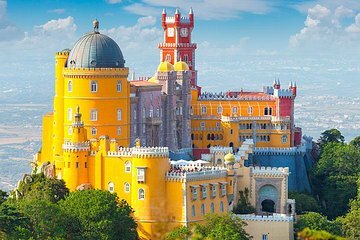 Then make your way to Belem and Lisbon city center to discover popular landmarks such as Belem Tower, Jeronimos Monastery, and the Moorish Castle, before concluding the tour at the location of your choosing. our Guide/driver was very good. the entrance to Sintra is not included in the price of the tour.